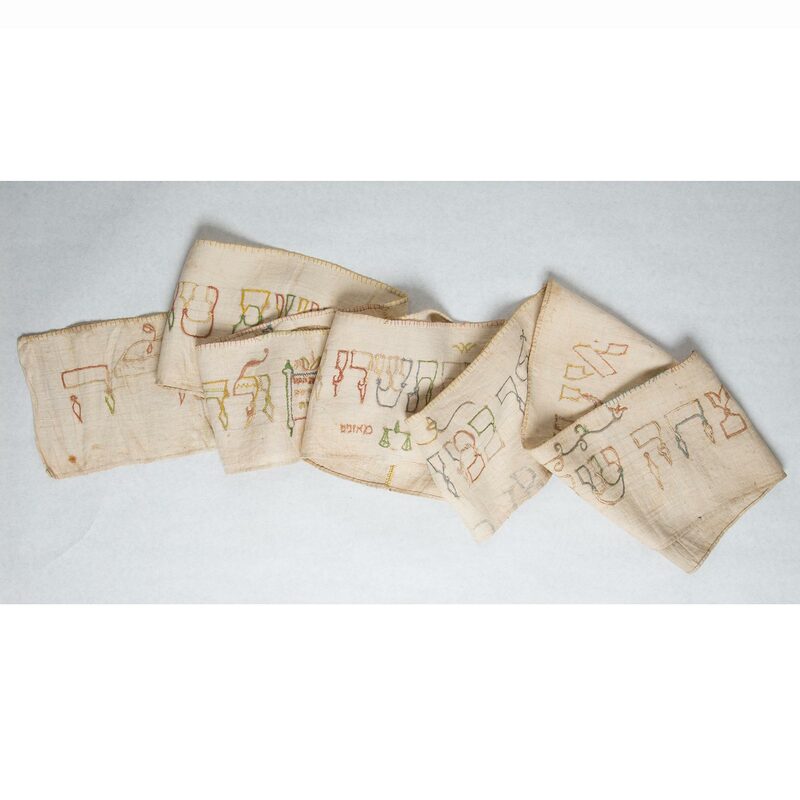 A wimpel is a Torah binder formed from cloth wrapped around a male infant during the circumcision ceremony. The cloth is cut into four parts and stitched together to create one long banner. 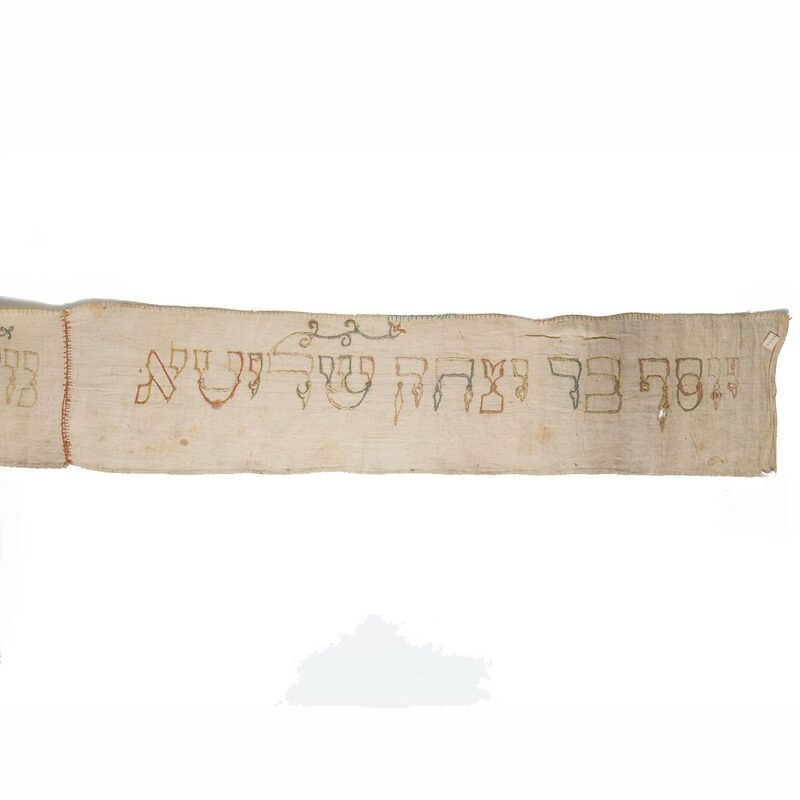 The banner is inscribed in Hebrew with the name of the child, his father's name and his date of birth, followed by a blessing recited during the circumcision. Embellishments may be added, such as the infant’s zodiac sign, or a rendering of the marriage canopy or Torah scroll, both mentioned in the blessing. 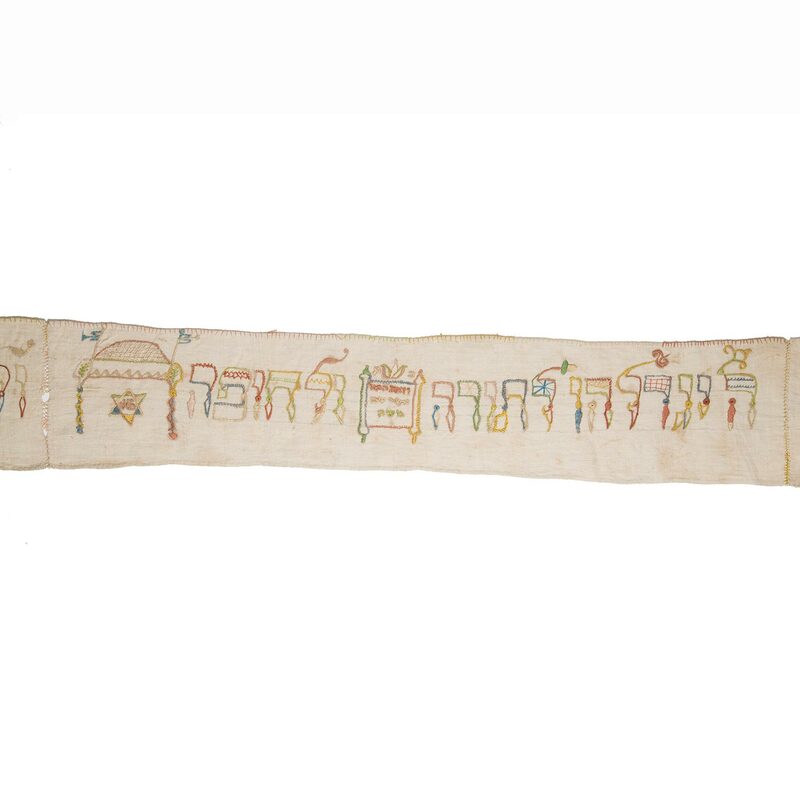 The wimpel is used to bind the Torah scroll on the occasion of the child’s first visit to the synagogue and again at the boy's bar mitzvah. Jacob Wile donated the family wimpel collection to the Field Museum in 1894 and died in Chicago two years later. They entered the Spertus collection in 1981. Dimensions: 5 1/8 x 112 in.